TQM: Total Quality Management is an extensive and structured organisation management approach that focuses on continuous quality improvement of products and services by using continuous feedback. Joseph Juran was one of the founders of total quality management just like William E. Deming. Total quality management originated in the industrial sector of Japan (1954). Since that time the concept has been developed and can be used for almost all types of organisations such as schools, motorway maintenance, hotel management and churches. Nowadays, Total Quality Management is also used within the e-business sector and it perceives quality management entirely from the point of view of the customer. 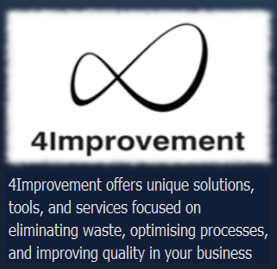 The objective of total quality management is doing things right the first time over and over again. This saves the organisation the time that is needed to correct poor work and failed product and service implementations (such as warranty repairs).